Training, model track on Friday 7th August after the sprint competition.Read bulletin 3 with maps and embargoed areas of the competition. Don't forget the late registratin fee after July 15th. *flexible starting within two hours after first regular start for youngsters and beginners. Transport: International flights to Oslo, Gardermoen (OSL). Ferry from Denmark and Germany. Regular train service every hour from Oslo and Gardermoen to Lillehammer (1 hours 45min). 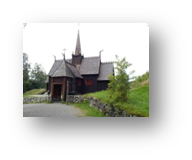 Local transport from the train station to the accommodation in Lillehammer can be arranged by the organizer. Registration: Accommodation must be booked before June 30th in order to guarantee rooms at the event centre. Other accommodations in Lillehammer are available. 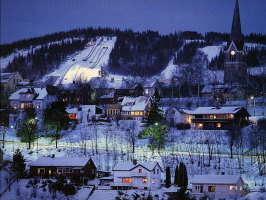 See webpage http://www.lillehammer.com/ for other accommodation options. Note: Late registration date after July 15th. July 1st 2015. Late registration fee until August 1st 2015, later if available maps only. HAM dinner Saturday evening: Bryggeriet Bar og Biffhus, steakhouse. Dinner cost 320NOK / pr person, childrens meny to the age of 12 costs 100NOK. Flats with 3 bedrooms 5-6 persons. Completely equipped kitchen, TV, bedding, towels, etc. http://tinyurl.com/c6xhj8z for 360 panorama. Note! Booking of accommodation is done direct to the hotel. Weather: From 13C to 25C, usually dry and very good running temperature! NOF approved maps Scale: 1:10 000 Area: A4 (2.1 x 2.9km). 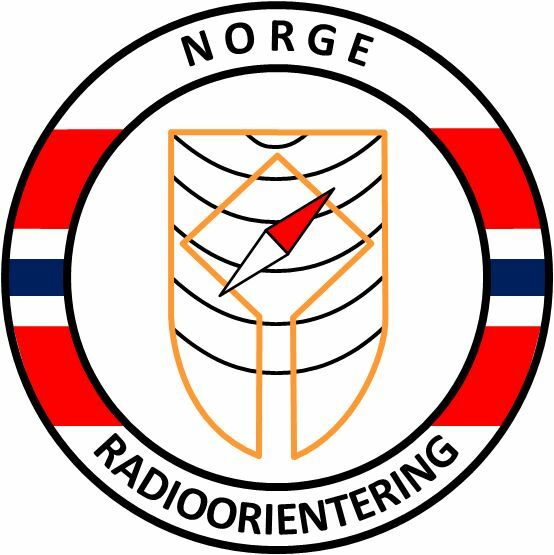 Restricted access for competitors to be understood that there are not allowed any orienteering or radio orienteering activity, training or competition in the area around Lillehammer and Sjusjøen. Orienteering maps in the area are aavailable using web search. Maps will be made available before the competition. 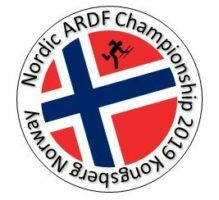 Beginners and youth in separate classes, IARU rules define classes for the Nordic Championship. Classes are merged if few competitors attend. Separate class for competitors in the open class outside Nordic countries. We encourage beginners and youngsters to take part in the event to learn and experience the joy of the sport. We will make dedicated courses (orienteering beginner level) adapted for the youngsters and beginners, and they are allowed to be followed (shadowed) by an experienced runner. Three transmitters will be used and located within visual distance from tracks or other guidelines. Free/flexible starting time in the beginner class in order for the adults to both participate in the main competition and to help own children afterwards. Youth classes are divided into two: Beginners with permission to receive assistance before and during the course and intermediate class without assistance. Course length will be 1 to 1,5km. All youths will get a price award. There are several options for accommodation at Lillehammer. The organizing comity will be helpful to direct all accommodation requests. The web page http://www.lillehammer.com/ has information regarding alternative accommodation. Late registration date after July 15th.